Can aeroplane tech help smartphone screens repair themselves? There's little more upsetting in life than watching your expensive smartphone slip through your fingers and face plant onto concrete. That clammy, creeping fear you experience as you lift up your phone, only to be greeted by a lightning storm of cracks across the glass could be a thing of the past, however, thanks to some nifty technology taken from aeroplanes. A new material, which was originally designed for aeroplane wings, has been created that combines a number of different carbon-based chemicals. When a crack appears, millions of microscopic spheres spill the liquid chemicals, which move into the crack. A chemical reaction then takes place, which causes the liquid to harden, fixing any cracks that appear. Chemists at the University of Bristol have been working on developing the material – which has shown to recover 100% in some cases – for a number of uses. As well as smartphone screens, the material could be used in car wind shields, wind turbines and more. While we wait for self-repairing smartphones screens, the material could be used in slightly less exciting circumstances, as L'Oreal is looking at using the material to create self-healing nail varnish. 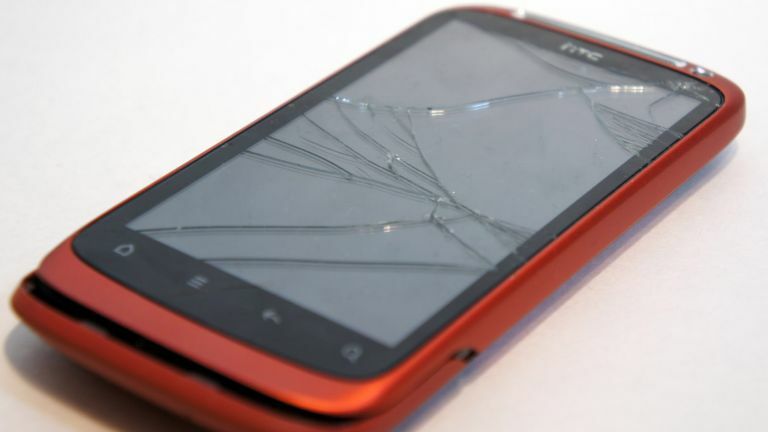 We'd argue that nails, by their very nature, are self-healing anyway, so hurry up boffins – it's our smartphone screens that are really worth it.